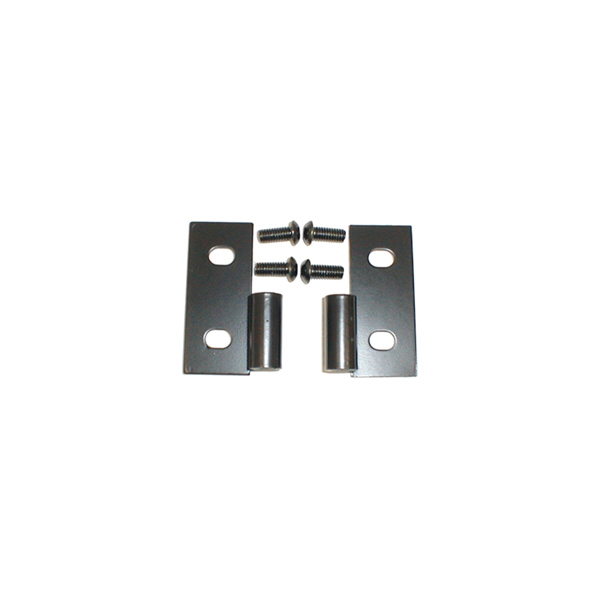 LOWER DOOR HINGE BRACKETS, 76-06 JEEP CJ & WRANGLER, BLACK - Jeep Parts Guy - All the Jeep Parts You Need! Change the look of your Jeep with genuine Rugged Ridge black exterior accessories. All accessories are powdercoated in a semi gloss finish to protect your investment against the elements. Includes 2 lower door hinge brackets and all necessary your investment against the elements. Includes 2 lower door hinge brackets and all necessary hardware.